By Raechel Mathews, YWCA of Australia. 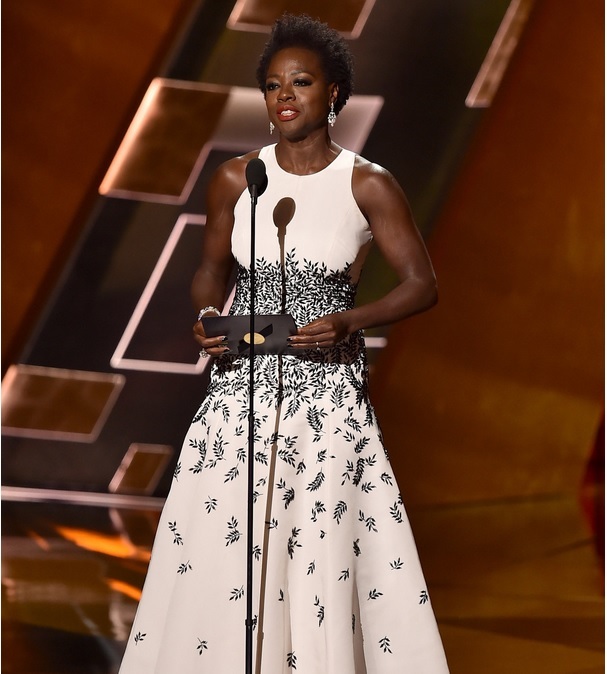 Earlier this week, actress Viola Davis made history as she became the first African American woman to win a Leading Actress Emmy in the US. She also drew world attention for a moving and sublime speech, succinctly encouraging the entertainment industry to support African American talent. Her photo and the quote ‘The only thing that separates women of colour from anyone else is opportunity’ has flooded the Internet and social media, being regrammed, retweeted, liked, favorited and celebrated by celebrities and social commentators alike. The sentence that follows this quote is the one that resonates most with me in Viola’s speech, and is not as widely publicised. Davis stated ‘You cannot win an Emmy for roles that are simply not there’. We’ve all heard the phrase ‘You’ve got to be in it to win it’; but if you’re excluded from being in it, how can you win it at all? Women of colour have only been receiving leading roles and subsequent award nominations (only 7 nominees in this category ever! ), so how can we be surprised it’s taken until 2015 for this win to occur? Davis also quotes Harriet Taubman in her speech, a freedom fighter from the 1800s; further highlighting progress of equal racial representation in her industry is far from rapid. Relating this to our collective YWCA work in communities, we can promote education and training for young women for example, but if post-study, there’s no work experience, employment, advancement, promotion, and mentoring, where’s the opportunity to consolidate learning and then excel, develop, and assist others? If there’s a shortage of long term housing and short term refuges, how can we effectively encourage and support women to leave violent relationships, with the opportunity to start a new life, with the promise of safety, shelter, and dignity for themselves and in many cases, for their children? If there are limited childcare and afterschool support for working families, where’s the opportunity to remove barriers for employment for women, and drive economic independence and empowerment? I am pleased to learn more YWCAs across the globe are driving more outcomes based programmes; taking a brokering or support role to address long term positive impact we can provide to communities long after the initial programme funding has ended. With the examples above, in Australia, the gender imbalance for Board positions, leadership positions (CEO and Executive), financial compensation and flexible working environments for women in some industries limits opportunity, and in turn limits incentive for young women to embark or continue to become leaders in their field. We watch with interest the appointment of Australia’s first female Defence Minister Marise Payne this week, and whether this will inspire women to join defence or politics as a result. The representation that opportunity affords remains an important national issue, and as the Emmy speech and the reaction shows, an important global issue too. Compound this ’opportunity issue’ not just with the diversity of race that Viola Davis focused on but also the other factors including disability, age, transgender, parenting, caregiving and it illustrates that opportunities for women in employment, housing, rights, laws, policies need to be created to support these elements of diversity too. To my YWCA sisters and brothers, as advocates, programme staff, Board members, fundraisers, communicators who are well aware of the richness of diversity and benefits the movement provides on a local, national, and global level, I encourage you all to watch Viola’s speech. Reflect on the opportunity you currently provide or could provide, especially when next week, the world moves on to a new story, but our need to support our communities remain.